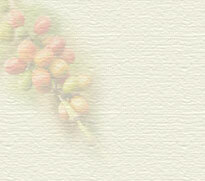 The Kona Coffee beans set and ripen throughout the rainy spring and summer. With the help of morning sunshine, porous volcanic soil and hand applied fertilizer, they start to become a deep burgundy red by September. 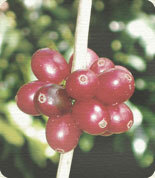 The old style trees must be hand picked and the fruit on each tree, called cherry, ripens gradually throughout the fall. A single Kona coffee tree will be visited up to eight times during the harvest months, and only the perfectly ripe cherry is picked. Picking is labor intensive and all farmers, family and the unsuspecting visitor will spend hours daily in the "coffee land".